On a Monday morning in January, 2016, just after being sexually molested at the train station by a groper, Jess Mount is given a bunch of flowers by a complete stranger to make up for the inappropriate behaviour of the groper. This handsome newcomer piques Jess’s curiosity and she lets him into her life, only to find herself falling madly in love with him. Meanwhile, Jess sees a strange message on her Facebook page, posted by her best friend, Sadie, insinuating that she is dead. As the days pass, she sees more and more messages on her timeline, impossibly from 18 months in the future, all from people mourning her death. But only Jess can see the messages and so she begins to doubt her own sanity. Jess is scared and confused but when mention is made of her son-to-be, she begins to realise that she must begin to take action and decide her own fate before it is too late. 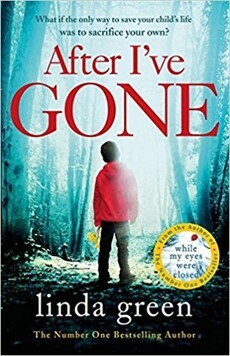 In this incredibly suspenseful novel, Linda Green keeps the reader on a knife’s edge as each action that Jess takes in the present, in some ways, impacts on her future. The supernatural motif of messages from the future in no way detracts from what is definitely a first-class psychological thriller. It is a very up-to-date story and the characters are realistic people with plausible motives. All in all, well-worth your time.